М.: 2008 - 72 с. 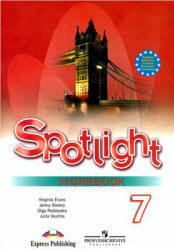 Spotlight Secondary is a course for learners of the English language at CEF A1-A2 level. The course combines active English learning with a variety of lively topics presented in themed modules.